A North Carolina company is making the cannabis industry’s first play for consumers of color with a line of beauty products aimed at ethnic minorities. The Hemp Excellence line of body lotions, lip balms and CBD capsules went on sale this month at two beauty shops that cater to women of color in Winston-Salem, North Carolina. The maker of the line, Founder’s Hemp of Asheboro, North Carolina, is in talks to expand Hemp Excellence distribution to South Africa, Ghana, Bolivia and other countries. “We think this could be a seven-figure brand for us within 12 to 15 months,” said Bob Crumley, controlling shareholder of Founder’s Hemp. Hemp Excellence is thought to be the first legal cannabis line of products aimed specifically at ethnic minorities in America. “This is a huge untapped market,” Crumley said. Founder’s Hemp teamed with a marketing and distribution company known for placing products before multicultural consumers. The company, Segment Marketing Services of Winston-Salem, has plans to get Hemp Excellence products in barber shops and hair salons that serve customers of color. “We have deep relationships in the community,” said Segment Marketing Services CEO Lafayette Jones, a former marketing executive at Proctor & Gamble and Kraft Foods. The Hemp Excellence line contains only one product that contains cannabinoids, the CBD capsules. The other Hemp Excellence products are made from hempseed oil, in part to appeal to customers who may be hesitant to try cannabinoids. “There are still a lot of people under the misconception that cannabinoids have to come from marijuana,” Crumley said. Other CBD producers said the market potential for personal-care products aimed at women of color is huge but that producers have been slow to market themselves as ethnic products because they don’t want to be seen as stereotyping people. “It’s still taboo in the Hispanic and African-American communities to be seen as embracing cannabis,” said Silvia Orizaba, founder of Sacred Mind & Body. The Northbrook, Illinois-based company makes personal-care products, including CBD, but doesn’t have a line aimed at women of color. Orizaba told Marijuana Business Daily that ethnic minorities are “a little bit cautious when it comes to using products including cannabis and hemp. Hemp Excellence had no initial sales figures from the North Carolina launch. But Jones said the beauty-supply stores carrying the line have seen great interest from customers. Hemp Excellence plans to launch hemp-oil hair-care products soon. Hemp oil can help extend the life of both synthetic and human hair extensions, though no products currently on the market are aimed at the use, Jones said. 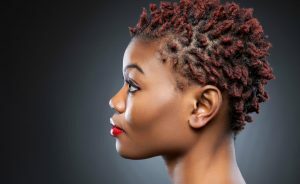 According to market research firm Mintel, black consumers in the United States spent more than $2.5 billion on hair-care products in 2016. “There’s enormous opportunity here,” Jones said. Roz McCarthy, head of the Florida advocacy group Minorities for Medical Marijuana, said she expects to see other hemp and CBD companies begin marketing to minorities. “It’s not a matter of having products aimed specifically at minorities; it’s about educating minorities about the benefits of the products that are already out there,” McCarthy said. Really. I bet this company goes out of business after launch unless they can scan more investors. I bet your wrong, provided they execute on their plan, which will include additional products. This is a huge niche market which can easily include other ethnics and maybe even some Caucasian’s. It’s all about marketing. Done correctly and have the products they say, they will make a fortune! As a Hemp soap maker as long as the formula works then it will be good. Hemp oil is a difficult oil to work with in skin care products due to wrong ratios that shorten the shelf life. It took me 6 years to develop a dog soap for my Chinese Crested dogs that cures them of acne and blackheads. Much sucess. Work your plan. Don’t concern yourself with Negative people . Go for it! I think you’re on the right track and headed to become a billion dollar industry. confusing message. Is this a Black-owned company? Thank you for this reply. I am extremely averse to putting my money on any of these products NOT made by Afrikan peoples! How many of us have been murdered and criminalised by the white establishment for dealing in a herb which grows naturally in our environment. The above write up makes me incandescent with rage, and I will do everything I can to dissuade my people to boycott these proposed products!